CLICK HERE to subscribe to this podcast via iTunes. CLICK HERE to subscribe to this podcast's RSS feed. Sunday Best: Celebrating warmer weather, Kerouac's birthday, and great mid-century (mostly) classic jazz on the Sunday Best today. The Roots Music Project: We have brand new releases to share from Kitty Daisy & Lewis (official), JD McPherson, Asleep at the Wheel and The Pine Hill Project featuring Richard Shindell & Lucy Kaplansky. I will also celebrate the birthday of Bob Wills and the year 1971. The In Crowd: We honored the legendary jazz producer Orrin Keepnews, founder of Riverside Records, with a look back at his career. We also paid tribute to singer Nancy Wilson with a selection of some of her biggest hits. The Groove Yard: The Groove Yard celebrates the life and legacy of musician, composer, educator and NEA Jazz Master Clark Terry, who passed away last week. We'll hear him as a sideman, backing Duke Ellington, Charles Mingus, Quincy Jones, Johnny Griffin, and many more. From Memphis To Motown: Blues that are a little less electric and a little more eclectic! Cuban Fantasy: This week I began a two month feature on Cuban singer Benny More. Sides are drawn from a 4CD box set called "El Legendario Idolo Del Pueblo Cubano: Complete Recordings 1953-1960". New releases in the middle set of each hour including Papo Vazquez, Omar Sosa, Manuel Valera and Manuel Valera Sr., and singer Carmen Cuesta. Ernesto Lecuona solo piano featured around 7:55pm as usual. 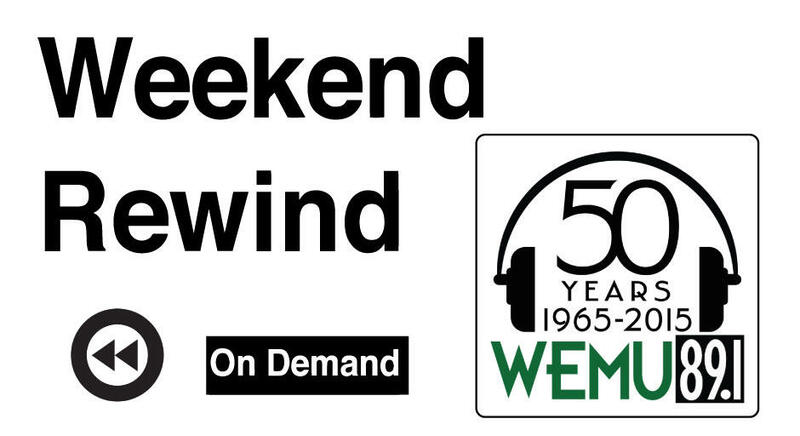 WEMU vaults material from Jesus Alemany's Cubanismo, John Santos, Paquito D'Rivera, thrilling live sides from Mongo Santamaria and Eddie Palmieri, and a classic from Cachao! The Big City Blues Cruise: This week on the Big City Blues Cruise we sprung forward to new music from Linsey Alexander, Altered Five,Neil Barnes, Mike Henderson, Vance Kelly, Shaun Murphy, and Rob Paparozzi & Ed Palermo Big Band's tribute to Paul Butterfield, and we celebrated Blues Birthdays Lloyd Price (3/9/33) and Ronnie Earl (by way of Roomful of Blues) (3/10/53). The New Jazz Archive: You can't listen to a painting or see a song. But that doesn't mean there aren't really interesting places where the worlds of jazz and art overlap. This week on the show, we'll explore the criss-crossing worlds of jazz and the visual arts from the jazz photography of William Gottlieb, to the life and work of jazz painter Romare Bearden, to the "Great Day in Harlem" that gave us one of the most storied photographs in jazz history. TED Radio Hour: Math intimidates a lot of us, but it can deliver surprising answers to life's pressing questions. In this episode, TED speakers discuss the elegant simplicity, and giddy complexity, of solving for X. Wait Wait Don't Tell Me: Recorded in Chicago with Not My Job guest Robert Earl Keen and panelists Kyrie O'Connor, Charlie Pierce and Faith Salie. Global Village: Each month, the Global Village New Month/New Music show features the best of new world music releases. Highlights this time include: new African titles and reissues from Highlife King E.T. Mensah, Mali’s BKO Quintet and the Rough Guide to African Rare Groove compilation; Brazilian sounds from the acclaimed singer Joyce Moreno, rising star Ceumar and bassist Nilson Matta; the return of the veteran Irish band Altan, and a new Celtic Café compilation; and the first new album in five years from Tunisian oud player Anouar Brahem - an exquisite new project with his quartet and orchestra called Souvenance.